If you have been arrested on drug-related charges, retaining the services of a qualified attorney as soon as possible can protect your legal rights and ensure the most effective defense for your case. 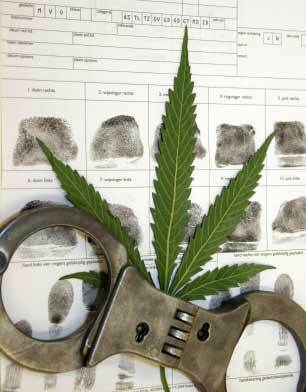 Crimes involving the possession or sale of marijuana or cocaine are often prosecuted aggressively. Putting the same degree of intensity on your side can help you fight these charges and defend yourself in the Texas legal system. Possession of marijuana charges can result in fines from $500 to $10,000 and jail terms that can range from 180 days to 99 years, depending on the severity of the offense, the amount of the controlled substance and the existence of previous convictions for drug-related offenses. Possession of other controlled substances can also be punishable by long jail sentences and steep fines. The exact penalties to which you may be subjected upon conviction will vary depending upon the type of drug and the amount allegedly in your possession at the time of your arrest. For drugs categorized under Penalty Group 1, minimum penalties can include two years in jail and a $10,000 fine. This group includes methamphetamine, heroin and cocaine. Possession of large quantities of controlled substances will generally result in the charges being upgraded to possession with intent to sell. If weapons are involved or if children are present in the area, additional charges may be brought against you. These can add considerably to the penalties you may be facing and can limit your ability to reach an acceptable plea agreement with prosecutors in Harris County and the Houston area. Under the provisions of the Texas Penal Code, drug trafficking or possession with intent to distribute charges are usually classified as felonies. This means that you could face serious jail time and fines if found guilty of these crimes. Working with an experienced drug defense lawyer can ensure that you have the qualified and aggressive representation needed to take on these types of felony arrests. It is essential to defend against these charges vigorously and effectively to prevent serious damage to your reputation and to avoid jail time for these charges. If you are currently facing charges related to the possession or distribution of controlled substances, the Law Office of Johnny P. Papantonakis can provide the representation you need to clear your name and deal with these issues proactively. We will go the extra mile on your behalf to ensure the best possible outcome for your case. Call us as soon as possible at 713-574-7507 to set up an initial consultation with our legal team.